Home national education day National Education Day 2018- Juvenile Delinquency: Issues & Concerns. National Education Day 2018- Juvenile Delinquency: Issues & Concerns. 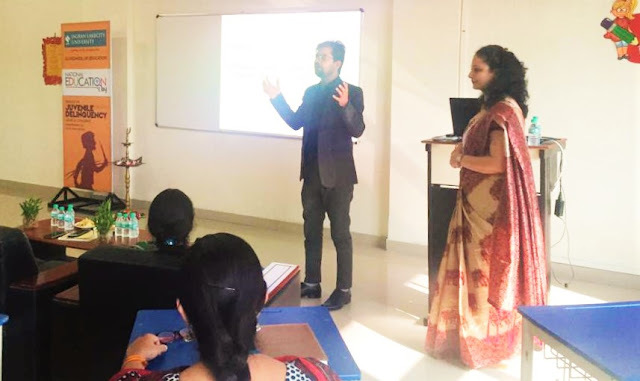 JLU School of Education commemorated National Education Day 2018 by conducting a Seminar on ‘Juvenile Delinquency: Issues & Concerns’ with the in objective ‘Identification for Early Intervention’ before a child loses his/her innocence to the harsh realities of life today on 13th November 2018. This event honours the birth anniversary of Maulana Abul Kalam Azad, the first Education Minister of Independent India and a firm believer of humanism and inclusion. Dr Yasmin Ghani Khan, Director, JLU School of Education greeted the guests and set the session moving by the statement ‘children grow up and return to the world, what they get from their family, school and society’. She asked student teachers to find solutions to the problem of deteriorating value systems, instead of complaining and blaming. Mr Amarjeet Kumar Singh, UNESCO Project Officer for Aarambh & Child Line Activist, discussed the legal clauses for framing charges on adults who misguide children to indulge into crimes which may be minor to heinous while they remain free to ruin other immature minds. He also informed the future teachers about the dos & don’ts when a crime occurs in or near the school premises by stressing on the phrases ‘ignorance cannot be an excuse for innocence’ & ‘not reporting a crime makes you an accomplice, too’. He discussed many case studies and positive tales of rehabilitated CCLs or ‘Children in Conflict with Law’. 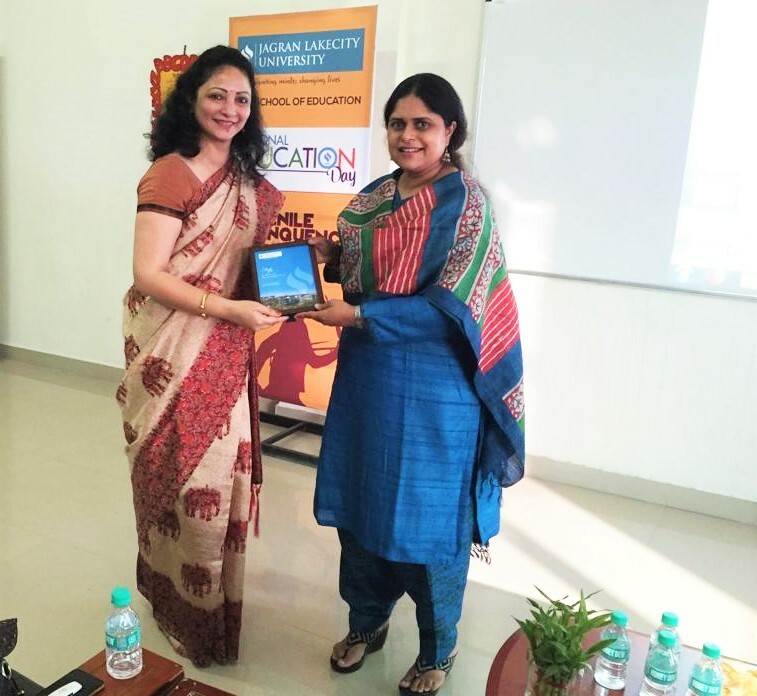 Dr Anupama Maheswari, Director, Aadhar Centre for Counseling discussed more case studies and engaged the future teachers in diagnosing possible reasons of deviance & how to handle situations. She highlighted the fact that usually, the problem is graver with parents rather than children. 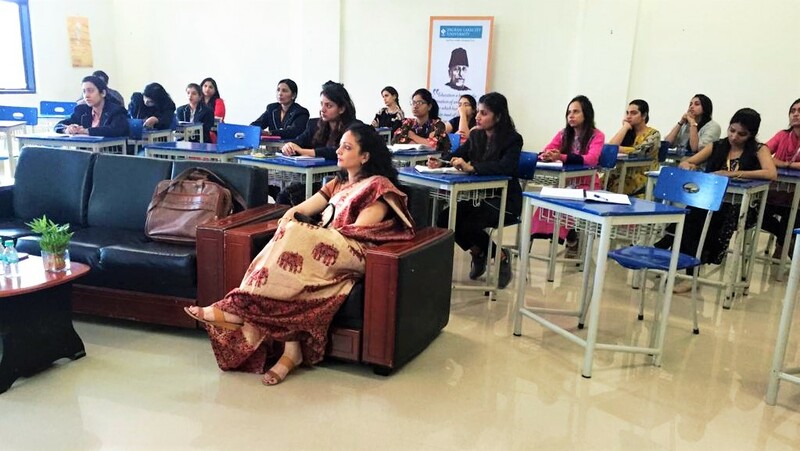 She suggested that a short-term course on ‘Counseling Parents’ should be developed for teachers, to help in changing the mindset issues of parents for accepting the aptitudes & interests of their own children. This will reduce performance pressure on tender minds, which are among the main reasons for deviant behaviour observed in children and adolescents. 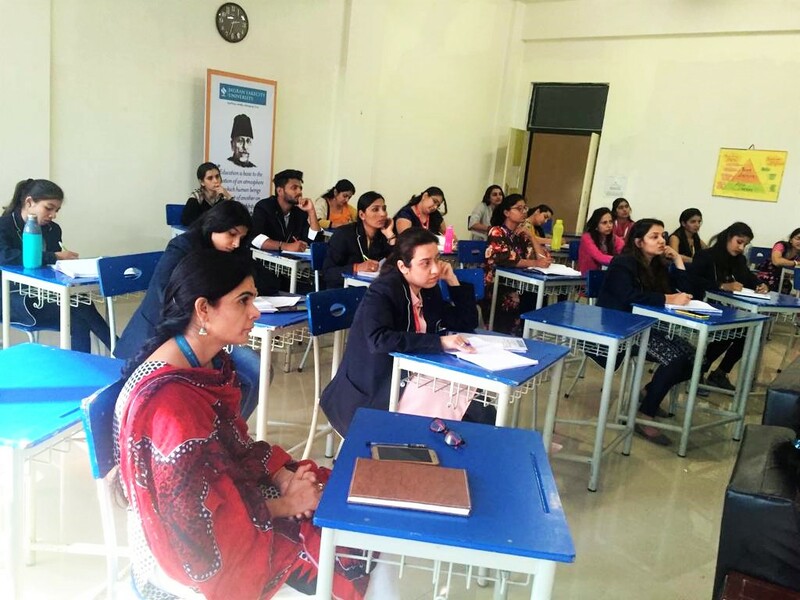 The faculty and pupil-teachers participated actively making the seminar a successful, springing for more interactive sessions on ‘Observing Child Behavior for Early Interventions’ where ever needed. Thanks to share about National Education Day 2018, I have read this post and got few motivated points. I would like to share a useful links of Typical Student, there has very informative articles.